The Most Immediate Way to Use Your Mind-Body Connection! Two mind-body experts teach you how to use an effective clinical tool for self-healing. 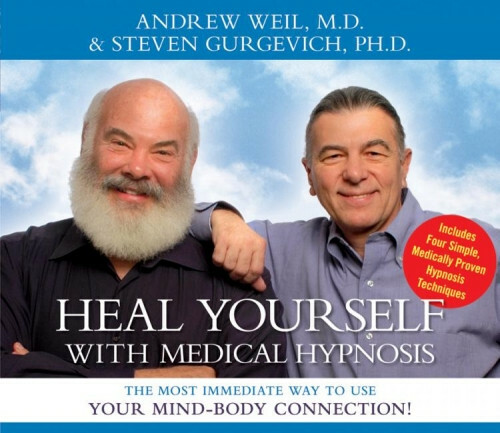 On Part One, Dr. Weil discusses the physiological mechanisms behind the mind-body connection, while Dr. Gurgevich demystifies the practice of hypnosis through a concise account of its history, as well as important case studies. On Part Two, Dr. Gurgevich introduces listeners to four trance-induction methods, including trance deepening and a full session of self-healing with hypnosis. No condition is out-of-bounds when it comes to the effective use of hypnotherapy, says Dr. Weil. With Heal Yourself with Medical Hypnosis, now listeners can discover this highly effective way to use the power of the mind for optimum health and well-being. I like the program, and felt I understand more about the meaning of entering to trance, and the way I can use it for self suggestion. I don't know if it can help with my medical issues though.